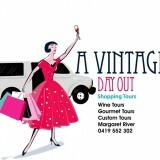 Perth Vintage Shopping Tours – Book your place on a fun and unique shopping tour visiting some of Perth’s best vintage/retro boutiques. 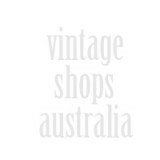 Your guide will be Kate, a Personal Colour & Style Consultant, and you’ll travel in a chauffeur-driven vintage Kombi. Enjoy a light lunch along the way and finish up with a glass of bubbly at the last shop!